Shelburne Farms is an expansive and elegant estate farm perched on the edges Lake Champlain. 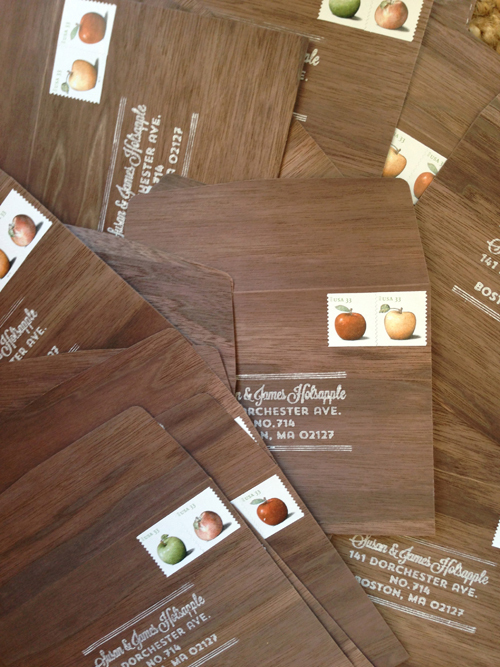 A classic letterpress invitation suite was created with just a touch of rustic elegance. Our favorite save the date...to date! A poster style design was created featuring a far off vantage point of the Coach Barn and Shelburne Farms with resident sheep in view. The design was screen printed in three colors on walnut wood veneer. One element that tied together the pretty distant looks of the save the date and invitation were the walnut wood reply envelopes. Rubber stamped with return address in white and postage stamped with apples. In order to handle the always tricky placement of the website URL we created a hand drawn map of the Shelburne Farms property. 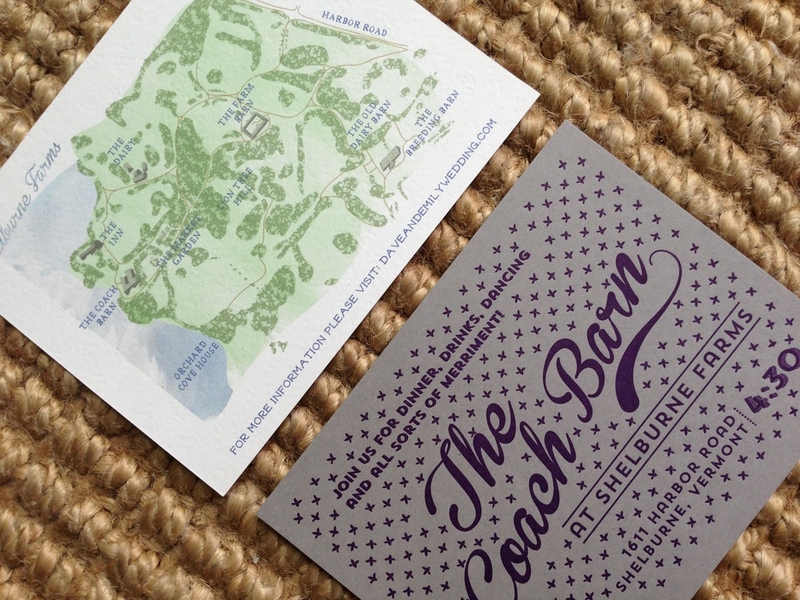 The reception card in gray and purple conveyed the old world elegance of the Coach Barn archecture. Table numbers were hand painted in lavender on wooden blocks. Happy Easter from Roux, the dog! I drew this literal pup's likeness on my iPad with @procreate and an #ipencil. Next weekend he'll grace the guest tote bags at the wedding celebration of his masters, Lizzie and Adam. Congrats, to the three of you!